Various other tools, such as clamps, mallet, etc. 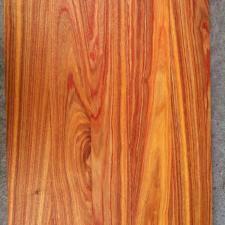 At your local wood supplier select a few planks of nicely figured canary wood. Canary wood is relatively brittle, so be sure to avoid planks with obviously splintering edges. Canary wood is about as soft as pine, but with straighter grain, so it is really easy to work with. Just be sure you don't catch any splinters from its brittle edges. Cut planks a little longer than the desired table length. My wood planks came smooth on the faces, but rough on the edges. You need to make the planks super straight and smooth on the edge for later gluing into a panel. Note the guiding fence against which the plane side glides. It keeps the plane at 90º relative to the wood face. Now design the surface panel. Check the plank ends - you want the grain curvature to alternate between planks to minimize warping. Pay attention to how edges meet and fix mismatches with your plane. Your ultimate goal is to find an arrangement that looks as great as can be given the structural requirements. Make a mark across the panel so you can easily recreate it. My panel clamp is from Lee Valley Tools. 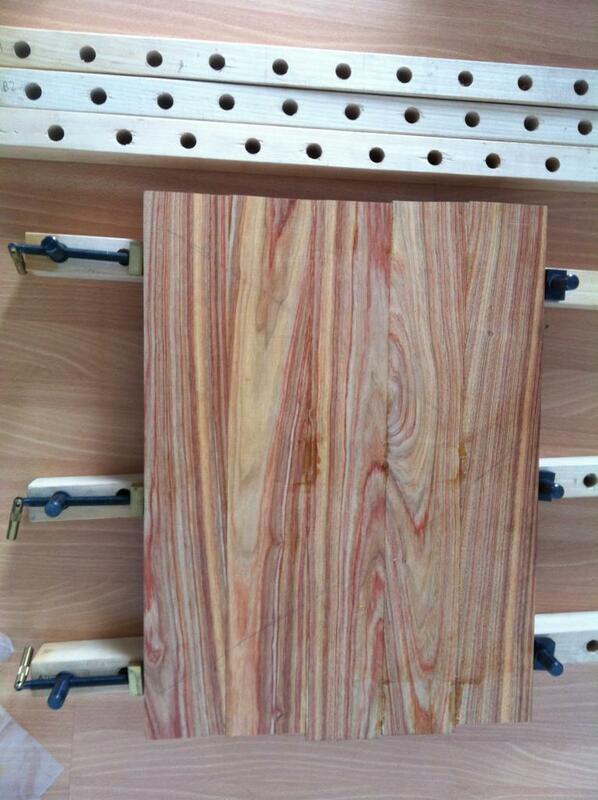 The glued panel needs to be smoothed to the surface flatness you want your table to have. I used a #4 bench plane first, and then my orbital sander. Between the final passes with 220 sandpaper I raised the grain twice with a wet rag. 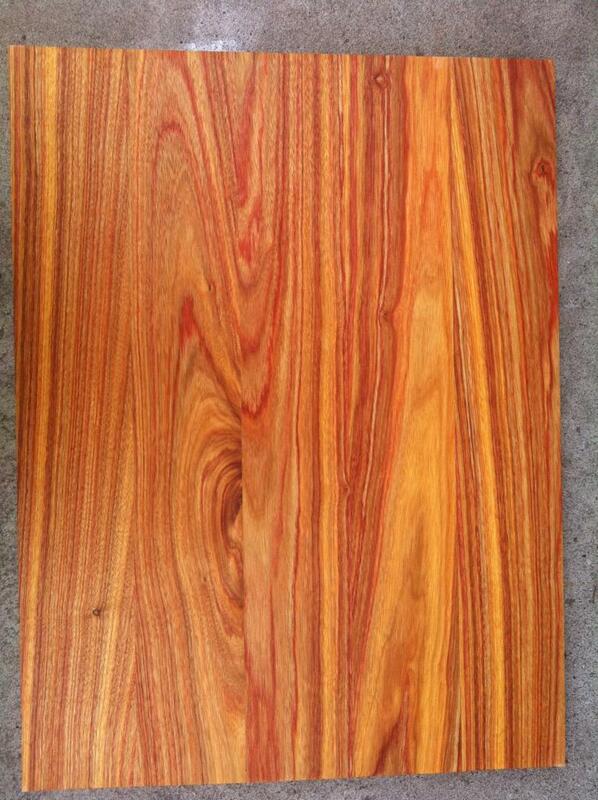 When wet the wood now really shows off its amazing colors. I used the #4 plane to "round over" the top edges and create a nice bevel on the bottom of the surface. Canary wood is so easy to plane that this was a snap, even across the grain. The coffee table undercarriage. It is a very simple structure of lightly tapered legs and straight planks connecting them. 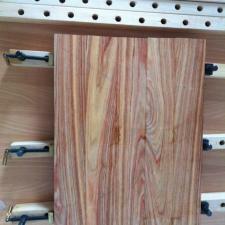 I used the Beadlock dowel system, which gives the strength of mortise and tenon joints, but only requires a hand drill. A web clamp held it together while the glue dried, and a couple of heavy boxes on top made it stand squarely on all four legs. 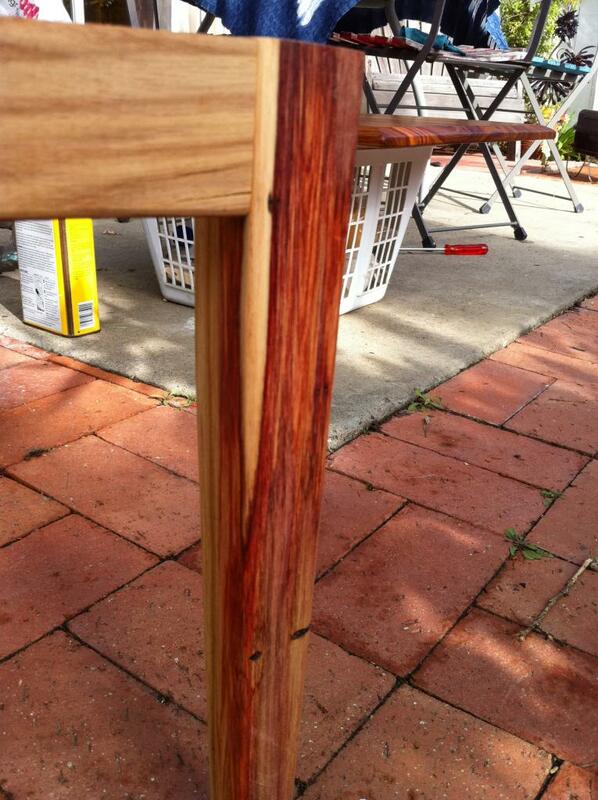 Crazy wood streak detail in one of the legs. I just love the red, and the worm hole too. The table is assembled, just felt pads needed on the feet. The blocks for the various screws are recycled from a 1960s chair inherited from our former neighbor John. 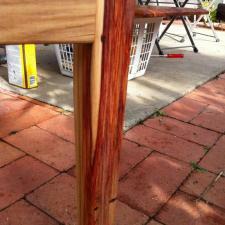 The finish is a wipe-on tung oil finish from Minwax, which is my go-to finish for all woodworking projects.